Poker is a popular recreational pursuit of gamers worldwide, and for good reason. It is an exciting and thrilling game of strategy and skill, which, in 2018, can now be played online any time, anywhere and on any device. 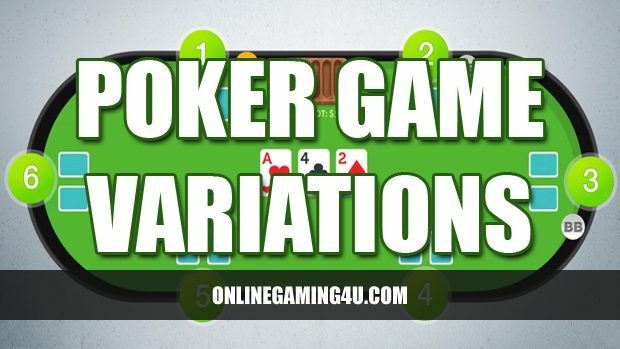 Many sites also offer different game types and variations of poker, but what are some of the more popular games and how do they differ? 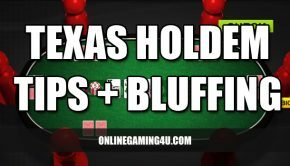 Texas hold’em is probably one of the most well-known and popular variants of poker. It also has very straightforward rules so it is the ideal poker variant for beginner players. At the start of the game, each player is dealt two cards each, which are placed face down on the table. The dealing of these cards is then followed by bets and the dealing of five community cards, which are placed face up on the middle of the table. Players have to try and make up the best five card hand using a combination of the community cards and their own personal cards to win. Pot limit Omaha can be described as a variant that is similar to Texas hold’em as the game has the same structure to it, however at the start of the game, each player is dealt four cards rather than five. The objective of the game is to combine your two original cards with three community cards to create the best hand. 5 card draw is another incredibly well known and popular variants of poker. At the start of this game, each player receives five cards from the dealer which are placed face down. Once the first bet has taken place, players have the ability to get rid of any unwanted cards in their hand and receive new cards from the dealer in exchange. After the final round of betting, players reveal all five of their cards and the best hand wins the game. 7 card stud is considered to be a more complex variant of poker in comparison the three other games above. It is a game that requires a mixture of skill, luck and quite a bit of knowledge, so it is a game that may take you little more time to perfect. To begin the game, three cards are dealt to each player, and one of these is placed facing up on the table. Each betting round in 7 card stud is referred to as a ‘street’ and is followed by the dealer dealing another card. At the end of the game, each player will have six cards, with four facing up and two still facing down. The winner is the player who has the best hand when all cards are placed facing up on the table. The four games above are just some of the variants of poker available to play online. There are also plenty of sites which offer step by step guides of how to play the different game types along with tips on strategies that can be used. Poker is a highly accessible and exciting game that is enjoyed by a large portion of the online community. The online gaming industry has experienced dramatic growth over recent years, with more and more consumers choosing to play games and complete transactions online. Poker is now a firm online favourite with many websites specialising in providing a high quality online poker experience to gamers. But what are the benefits of playing poker online as opposed to more traditional poker setups? One of the main reasons for choosing to play poker online is the convenience of be able to play from the comfort of your own home, any time you feel like it. You don’t have to wait until your friends are free, make social arrangements, or even own a pack of cards or chips – everything is set up online for you, waiting for you to play. If you have a busy work schedule, you will find it easier to fit in poker games as you can choose to play for as long as you want, whenever you want. By choosing to play poker online, you also have the opportunity to play with players from around the world. If you are an experienced poker player, you can challenge yourself against other experienced players and develop your skills further. If you are a beginner player and lack confidence, then playing online is even more beneficial as it is the perfect way to practise and improve your skills and tactics as it provides a degree of anonymity. There are also plenty of sites which offer tips and tutorials to help you gain more knowledge and brush up on the rules before you play for real. Online poker also provides the player with more control over their money as you can start with stakes as small as 1p or 2p. This gives you the chance to enjoy the game and practise with very little risk until you gain more experience and confidence. Some sites also have online forums which can be a great way to get chatting to fellow gamers and poker players. When playing online you can take part in multi-tabling, where you can play more than one table at once, giving you the opportunity to reap more rewards in less time. Online poker games are also much faster than those you would experience in a casino as deals are much quicker. Another very important advantage of playing poker online is the selection of games that are available to you. Most poker sites offer a wide variety of game types, which wouldn’t all be available at once at a traditional casino. Unlike offline poker, many sites offer incredible introductory bonuses and incentives to new customers when they sign up, which gives you more to play with and ensures that gaming experience lasts longer. Make sure you shop around to get the best deal as some sites are more generous than others. Like Coral Poker who offers bonuses up to £200. Playing online poker is so convenient and equips the player with so much more control and flexibility that you can clearly see why it has soared in popularity over recent years. Why not browse some of the many online poker sites today and get yourself up and running with some exciting poker games? 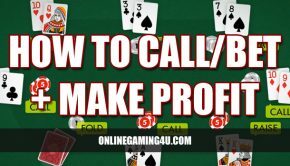 When it comes to playing poker, there are those that would never give up their sit down card game for a shot at online poker, and those that couldn’t face playing in the high-pressure setting of a live casino. Particularly when they’re just starting out, and perhaps aren’t fully comfortable with the intricacies of the rules and gameplay strategy. While everyone has their own individual preference, and some even like to play in both environments, there are particular strengths of online poker that make it distinct, and an invaluable tool for those looking to improve their skills and abilities. One of the fundamental differences with online poker from its offline cousin is that the game is pretty much determined by the cards on the table and strategies employed from there. The psychological element to the game, while still present, is vastly diluted because players are playing blind. Watch this short video of famous actor Matt Damon try to contain his excitement at having an amazing hand. They have no idea who they are playing against, how they are reacting or any indication as to whether or not they’re bluffing a particular hand. 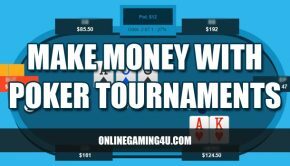 As such, it’s only really possible to get a gauge of a particular player’s abilities by studying their winning hands and betting techniques, creating a much more level playing field for those just getting started with the game of poker. Similarly for those just learning the ropes with poker, the online environment is much more comfortable and much less of a daunting experience. If you do something stupid in an online casino, there’s no way of telling how others have reacted, and in any event you’re just a name on a screen, in the same way your fellow players are remote from you. This makes for a much better atmosphere for beginners to get to grips with the rules and basic strategies before jumping in feet first into a real, live casino game. Unlike its ‘real life’ counterpart, playing poker online also brings with it the benefits of allowing players to play against those much more experienced and much better than themselves without having to leave home in a way that previously wasn’t possible. While it’s also harder to detect better players at face value, it’s obvious that having the opportunity to play with those with a more advanced understanding of the game will have a positive effect on the development of your own skills as a player. Even if you’re already an accomplished expert in the game. For these reasons, online poker has a lot to bring to the table over offline poker. That said, there are those that prefer the social aspects and the psychology involved with face-to-face poker, and if a group of players of similar ability get together, it’s often a great excuse for a gathering and a chance to catch up with friends. However, for the more serious player looking to improve his or her skills, playing online has a variety of benefits to offer that make it the path of least resistance to improving your abilities as a poker player. If you’re looking for a place to play poker online for the first time, or looking to switch to a new online casino, check out our recommended poker sites page. Paddy Power Poker is also one of the most popular online rooms for UK players, and particularly popular with beginners. First published 14 Dec 2011. Updated 25th January 2018.